NOVO BANCO Photo 2015, one of the most significant photography prizes in the Portuguese contemporary art calendar, features work by nominees Edson Chagas (b. Luanda, Angola, 1977), Ângela Ferreira (b. Maputo, Mozambique, 1958) and Ayrson Heráclito (b. Cachoeira, Brazil, 1968). On show at Lisbon’s Museu Coleção Berardo from 17 June - 11 October, the presentation includes a strong video component in addition to photographic work. The exhibition opens with Edson Chagas’s Desacelera o Mambo, Celebrating Life by Slowing Down Perception (2015), a group of photography and video works that capture a nondescript Luanda beach. Dark night skies contrast heavily with glowing golden sands, whilst the horizon - aligned at eye level – conveys spatial depth. Edson Chagas, Desacelera o Mambo Celebrating Life by Slowing Down Perception, 2015. Pigmented inkjet print on cotton rag paper. 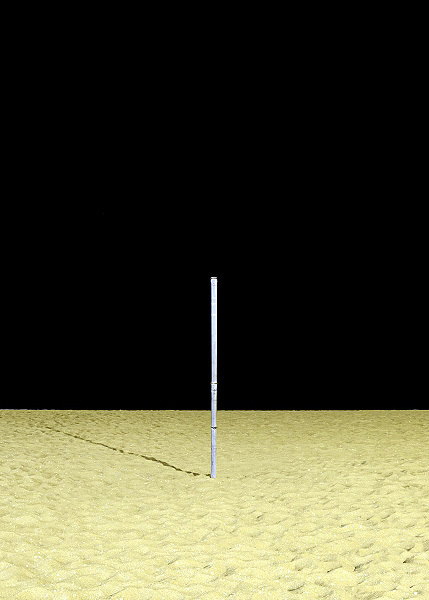 At the same time, a sense of fabricated stillness is established by an abandoned basketball hoop on the isolated beach, transforming the area into a place of absence rather than one of recreation. This disconcerting scenario in typically overcrowded Luanda is augmented via a video starring a single man crossing the frame in a decelerated motion, the sound of his feet crunching the sand beneath him spreading across the exhibition space. In the following room, Ângela Ferreira explores the entangled links between ‘objective’ ethnographic expeditions, government bodies and architectural structures as part of Portuguese colonialism. 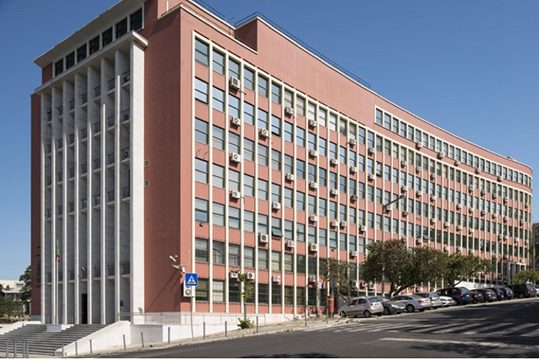 The photographic component of A Tendency to Forget (2015) examines two Lisbon modernist buildings that stand in close proximity to each other - the Ministry of Defence (former Overseas Ministry) and the National Museum of Ethnology - drawing parallels between the two structures and the work they undertook. Unlike most European nations, Portugal did not begin its withdrawal from its African colonies in the 1950s and 1960s, but instead launched a brutal war against dissident groups that lasted 13 years. Also, from 1956 - 1961, in order to validate its presence in increasingly hostile overseas territories, the dictatorial Portuguese government funded reports by leading Portuguese ethnographer António Jorge Dias on the Makonde population of Mozambique. 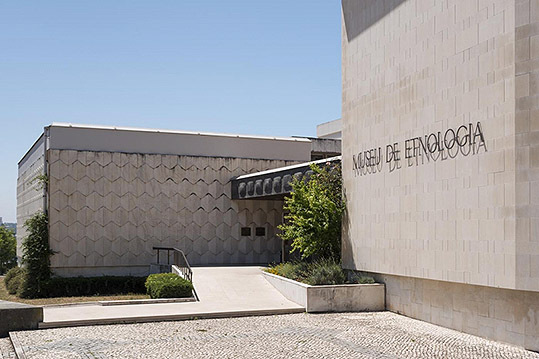 Carrying out fieldwork with his wife Margot in northern Mozambique, the couple effectively performed reconnaissance missions for Portugal and upon returning to his home country, António founded Lisbon’s National Museum of Ethnology in 1965. Ângela Ferreira, A Tendency to Forget, 2015. Ministry of Defence (former Overseas Ministry). Inkjet print on photographic paper, 68 x 102cm.Courtesy of Museu Coleção Berardo and the artist. dimensions variable.Sculpture (MDF, pine beams, steel), LCD. Further to its photographic element, A Tendency to Forget includes a structure that echoes the architecture of the aforementioned government buildings yet bears a tropical impression by being placed on stilts. It houses what is possibly the most powerful piece of the project, the video. Alternating between audio reconstructions of Margot’s diary entries and António’s reports, the 18-minute piece juxtaposes Margot’s Super-8 video recordings of the Makonde people with excerpts of Moçambique. No outro lado do tempo (1996) a nostalgic documentary by Beja Filmes, which focuses on the daily life of Portuguese colonialists. Ângela Ferreira's A Tendency to Forget, 2015. Whereas António’s testimonials are deeply linked to broader political concerns of the era, his wife’s follow the line of a deeply personal journal that nonetheless exposes a set of generalised anxieties. By analysing the couple’s material, Ferreira explores the clear political motivations of their sociological studies, an association António Jorge Dias admits to himself. Ayrson Heráclito, O Sacudimento da Casa da Torre, 2015. 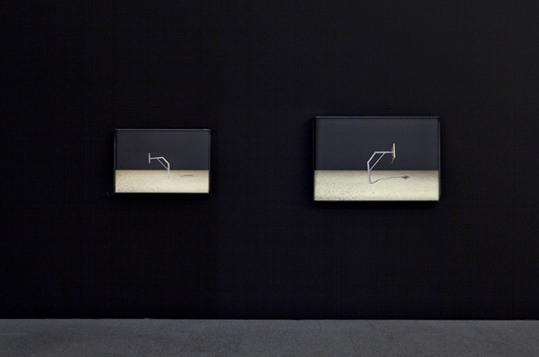 Exhibition view NOVO BANCO Photo 2015, Museu Coleção Berardo 2015. 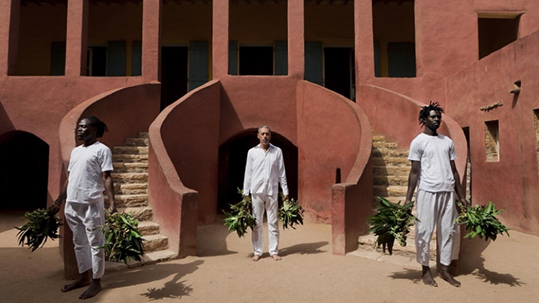 Lastly, combining photography and video, Ayrson Heráclito’s O Sacudimento (2015) attempts to exorcise the demons of the past by looking at two historical buildings involved in human trafficking and violence - the Maison des Esclaves in Dakar, Senegal and the Casa da Torre de Garcia d'Ávila in Bahia, Brazil. Whilst the former operated as an exit point for the enforced transport of African slaves to the Americas, the latter grew out of the brutality of slave work to become the largest estate in Brazil. The video depicts men in white clothing breaking and stepping on small branches taken from a leafy bush as well as rattling them against the buildings’ remains. The shaking of the leaves in these ceremonial proceedings, linked to the inherently Afro-Brazilian syncretic religion of Candomblé, are meant to cleanse the spaces of negative energy and evil spirits. O Sacudimento hence evokes a traumatic history on both sides of the Atlantic – Africa and South America – confronting the Portuguese audience with their nation’s participation in slavery, a past it would rather forget. Although nominees were selected for their individual works and given the opportunity to develop a project with no thematic constraints, the fact is that common threads do come through. Ferreira and Heráclito examine wounds left by a colonial era whilst Chagas subtly reveals unease in Angola’s present. The prize winner will be announced in September.